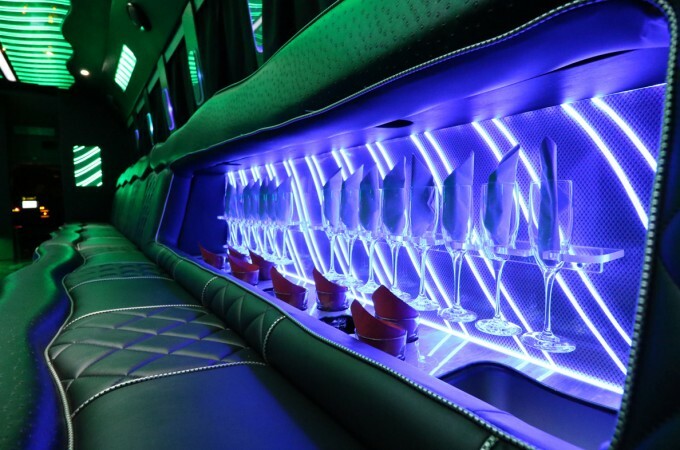 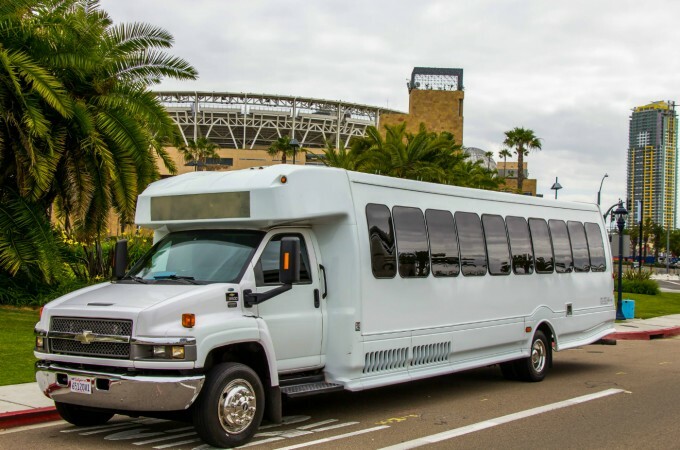 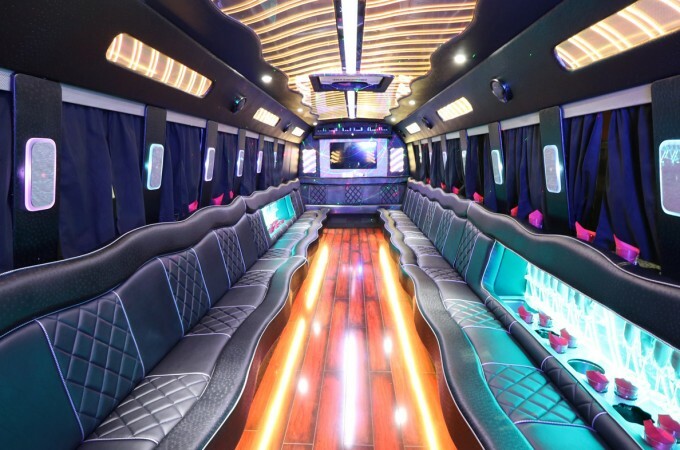 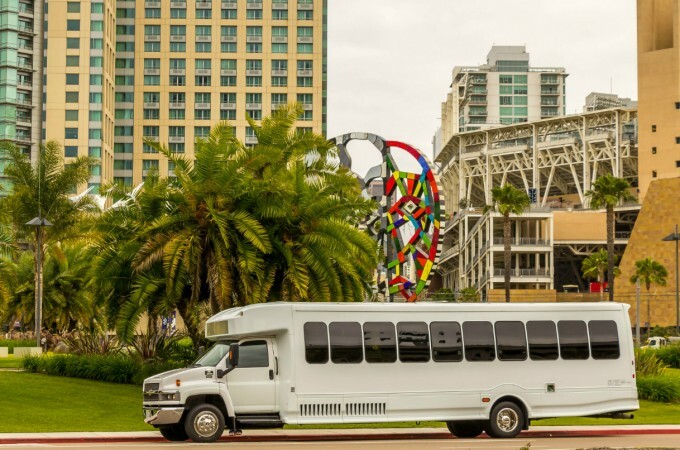 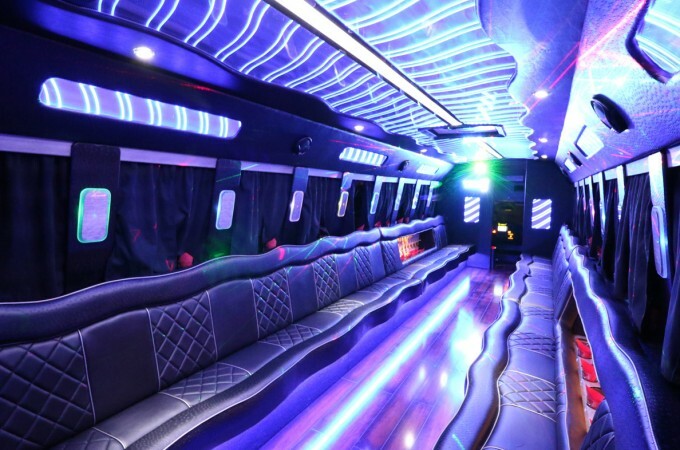 Ride in style on-board this ALL NEW San Diego Limo Bus for up to 30 party people ! 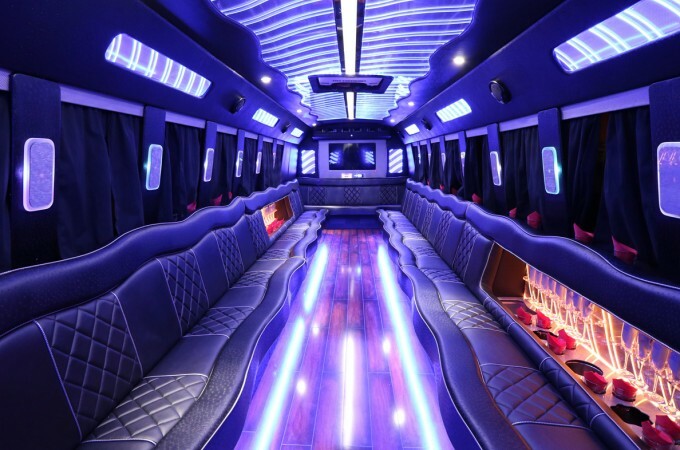 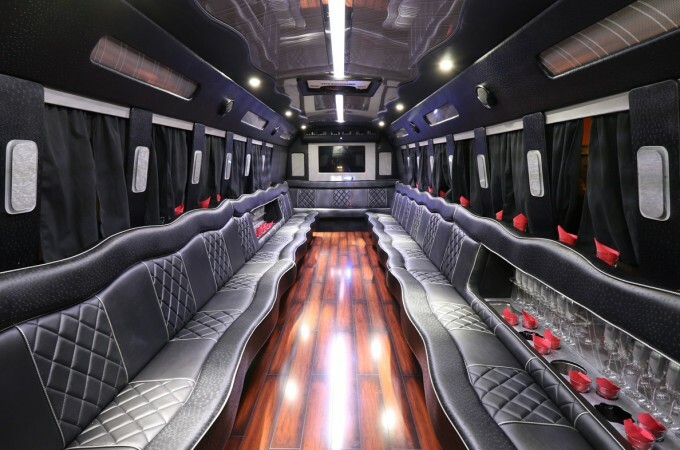 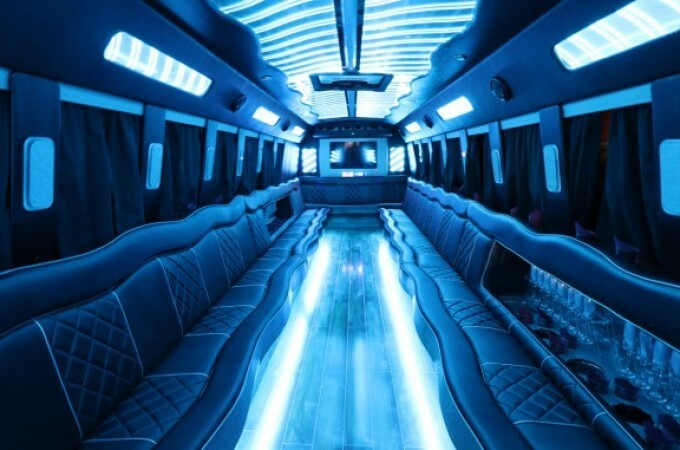 Pull up in this amazing limo bus and you are sure to turn heads and become the center of attention. 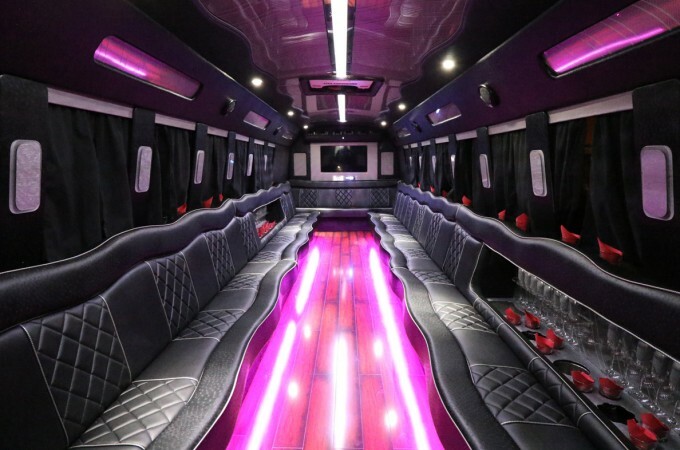 If you need to roll in style for a Prom night, corporate event, bachelorette party, or simply just having a night out on the town and you need to do it in style then look no further. 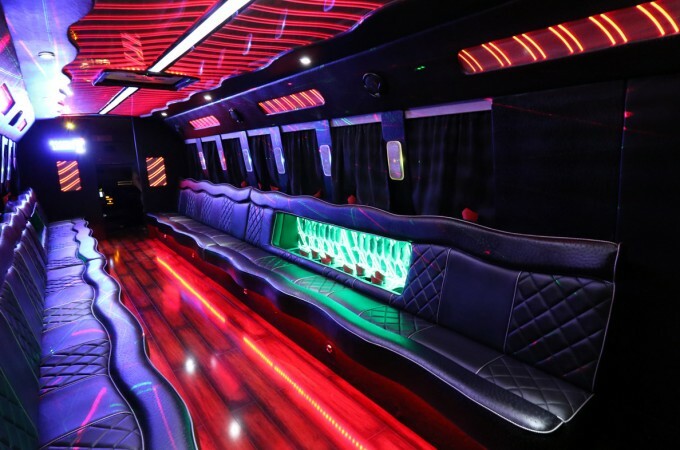 This custom built limo bus will delight your guests and carry you thru the night to all your San Diego destinations with VIP treatment. 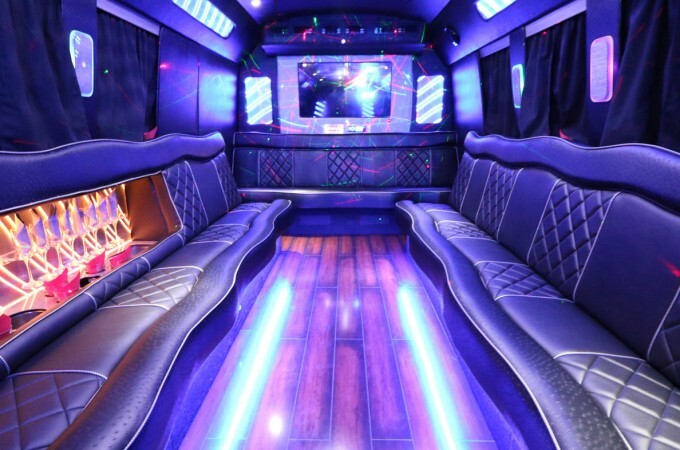 With a state of the art entertainment system that includes a massive sound system, flat sceen tv and DVD player, disco laser strobe lights you are sure to get the party started long before you reach your destination. 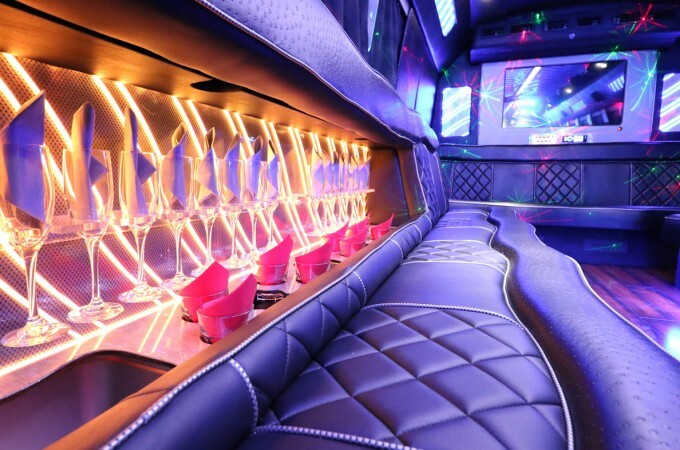 Call now to book your custom Party Bus Charter on Board the Cali Party Bus: (858)-345-5275 or click below to book online today!